This pair of pants is made from smooth polyester. 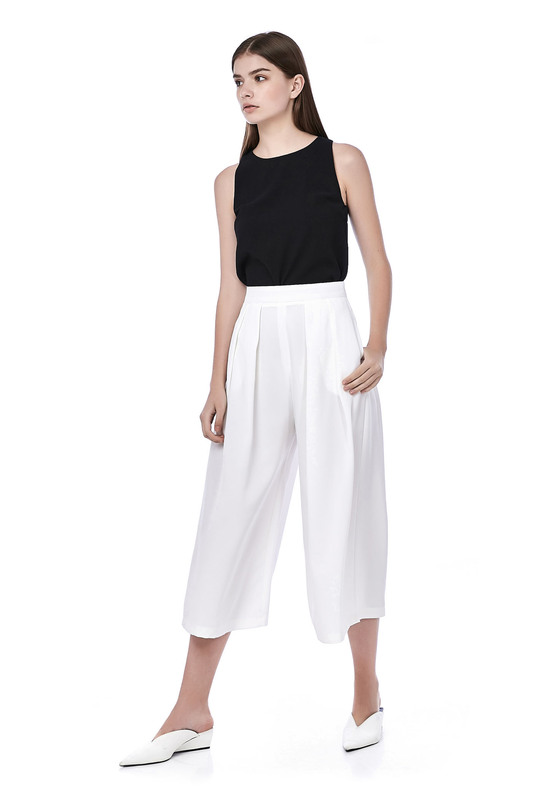 It is high-waisted featuring pleat detail and wide legs. Functional pockets at both sides with zip closure on the back. HIPS 37" 39" 41" 43"
RISE 15.5" 16" 16" 16.5"
THIGH 33" 33" 34" 34"
LENGTH 33.5" 34.5" 35" 35"